How does this affect the Saints? 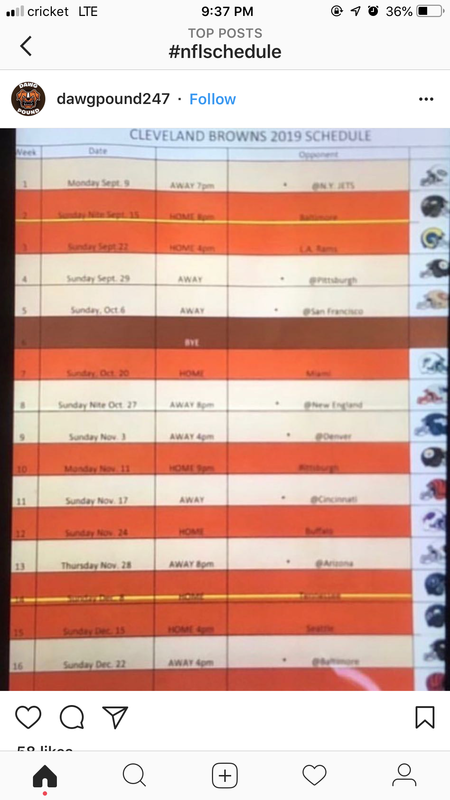 We now know the Saints will not play the LA Rams in Week 3, the 49ers in Week 5, Arizona in Week 13 and Seattle in Week 15. ETA: Also, the Saints will not play Tennessee in Week 14. Sep 22 at Tennessee is still a possibility! I find it incredibly hard to believe the Browns are going to have 5 primetime games. Arizona in Week 13 and Seattle in Week 15. Seattle/Vancouver for Xmas may not be that bad of a time to visit. Although, I’m hoping for an oct game. find it incredibly hard to believe the Browns are going to have 5 primetime games. They have the highest profile WR in the NFL and a top 4 QB in popularity. I believe it. whether you want to call OBJ the highest profile guy or not really doesnt matter. People want to see him and Cleveland has a lot of hype this year. The Cowboys could go 4-12 and get five prime time games. People wanted to see what San Francisco brought to the table last year to the tune of 5 initial primetime games.